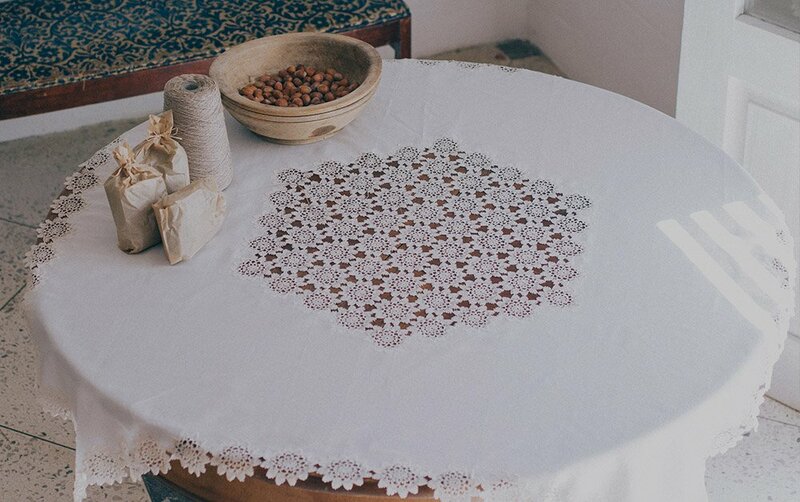 As thread wraps around needle, and knots tie the present to the events of the past, we see how the centuries-old needlework tradition is weaved into Armenian culture. 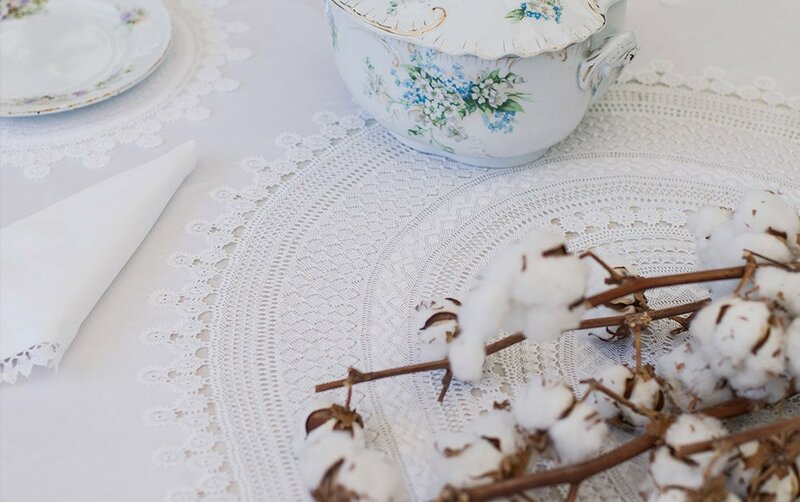 Recently found drawings of old lace have been the inspiration for both our classic and modern designs. We present four collections, all embroidered with character and beauty of their own. See what speaks to you. Nonna means “grandmother” in Italian, and everything she stands for– tradition, wisdom, beauty– is at the center of our original and most popular collection. Steeped in tradition, the designs are mainly round or oval and complement classic interiors. Each piece contains over 25-30 designs. According to our artisans, creating this collection is like writing a symphony. 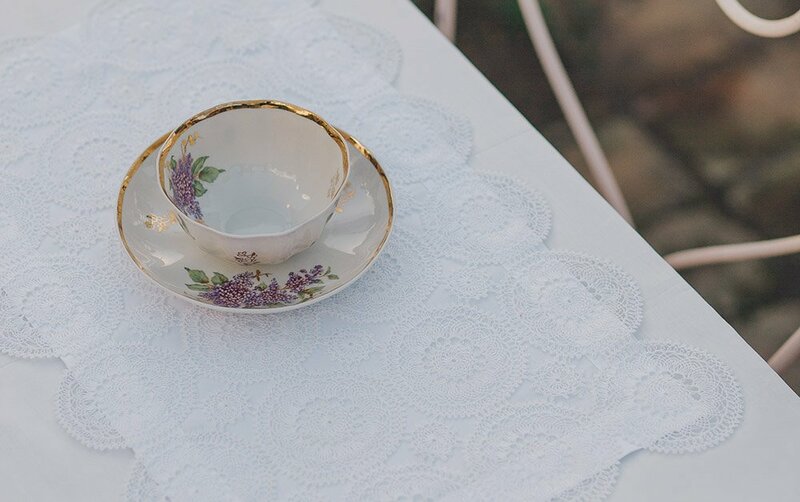 Nonna is elegant, inspiring, and destined to become a family heirloom. Known as “Movers’ Lace”, Raphaella seems to dance before you. Small rounds meet big rounds, which can be found in the Nonna designs as well. Whatever table you choose to cover, this design will be a standout for its intricate design & great beauty. Our Grappe collection gets its name from the French meaning “cluster of stars”, and it couldn’t be more fitting. What starts with one star design multiplies and transforms from a cluster of stars to a whole constellation. Perfect for larger tables. Grappe also makes a classic, stunning border. It’s a picture-perfect Christmas once cherished heirlooms and ornaments decorate our homes. 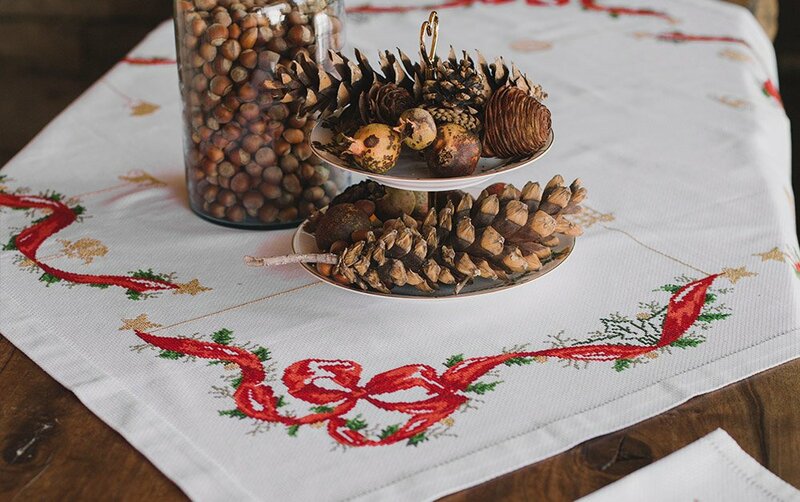 Each runner, placemat, and table cloth in our Christmas Collection is made from 100% cotton. Our festive designs are cross-stitched and hemstitched with the finest quality French thread to ensure safe laundering. On snow-white linen, bright red bows wrap around Christmas tree branches hang heavy with gold toys, angels, Santas and stars.